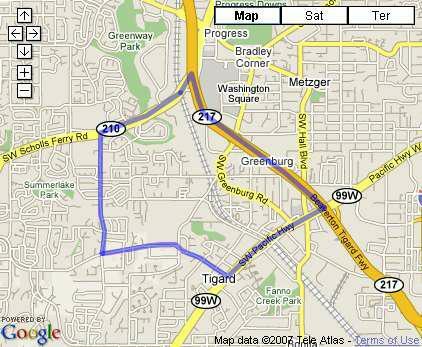 The Greenburg neighborhood of Tigard, Oregon goes east, starting at 121stAve, to Hwy 217, and south, from Scholls Ferry to Pacific Highway (99w). This part of Tigard, Oregon is partially in Tigard School district and partially in the Beaverton School District. The only park in this area of Tigard is Englewood Park near Scholls Ferry road. However, it does connect to a much larger park on the Beaverton side of Scholls Ferry Road, called Greenway Park. As of 12/19/2008 here are the stats for the Greenburg Neighborhood. This week I’ve changed the stats to only count the sales from the last 7 days to give a better reflection of what is going on in the neighborhood during any given week.